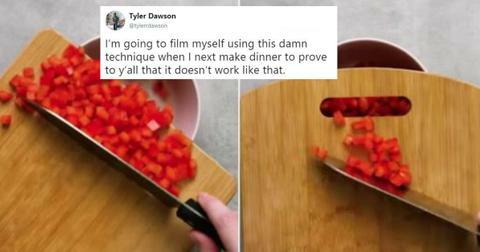 10 "Life Hacks" That'll Make You Roll Your Eyes, Like This Cutting Board "Trick"
Life Hacks: some of them are truly amazing. Like fitting a Phillips heads screw driver into a socket wrench to reach that impossible to turn screw, or using a piece of white bread to soak up any errant shards of glass that break on floor or carpet so you don't get a nasty surprise while walking around your house without socks or slippers. But then there are some "hacks" that really aren't hacks: just a bunch of nerds trying to populate the internet with some useless information in the hopes of getting clicks. Like using an exacto knife in order to cut open that hard-to-penetrate plastic packaging that ends up gouging your fingers. That's not really a "hack" now is it, we shouldn't have to use specialized tools in order to merely open something that we paid for, that's utterly ridiculous. Sadly, this trend of useless "life hacks" are still continuing on the internet. The latest culprit: the hole in a cutting board. When you see this little hole on a cutting board, what do you think it's used for? If you said, "Why, it's a handle." Then ding ding ding! You're right. And you're not only right, but a level-headed, normal-thinking individual, at least when it comes to kitchenware. But there are some outlets that believe it's more than a mere handle. Some are trying to claim that this is a handy-dandy, miniature entrance way used to guide whatever finely-chopped-goodness you're trying to put into a bowl or pan with expert precision. The only problem is...it doesn't really work that way. It didn't take long for Twitter to get on the case of this dumb life-hack. What's even worse about it is that it's not even a "hack" that is useful. Go and try use this little trick for pushing your veggies or tomatoes or dehydrated ears into a bowl and let me know how that works out for you. Some people had strong reactions to the claim. Like this Twitter user who was intent on proving that this "hack" really isn't a "hack" at all. There were some who pointed out the obvious. There could be some who argued that this was a happy accident, or maybe that we only thought it was a handle this whole time and it was intended to be used to more "easily" put stuff into a bowl or pot or pan. But someone went to some great lengths to show it is indeed just a handle. They went so far as to find the original patent for the cutting board to prove that it is indeed a "handle." Proof is in the pudding, says it right there. 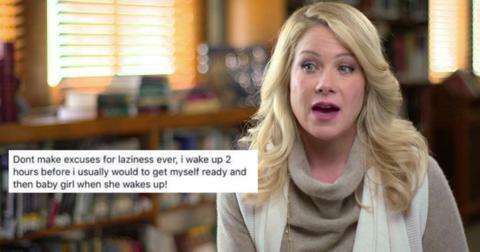 As it turns out, the internet's filled with "life hacks" that are just a bunch of malarkey. Like putting your batteries in the freezer to extend the life of them. This just leads to corrosion, as well as battery acid leaking all over your ice cubes. Have fun slurping that down. If you want batteries to last longer, just buy rechargeable ones. Pancake batter in a ketchup bottle for "perfect pours." I get it: you miss Batter Blaster, but do you realize the amount of work it'll take to clean out a ketchup bottle to make sure your pancakes won't taste like tomatoes and vinegar and sugar? Not to mention getting all of that batter poured into that tiny hole? You're just asking for a gross mess if you do this. Hard pass. 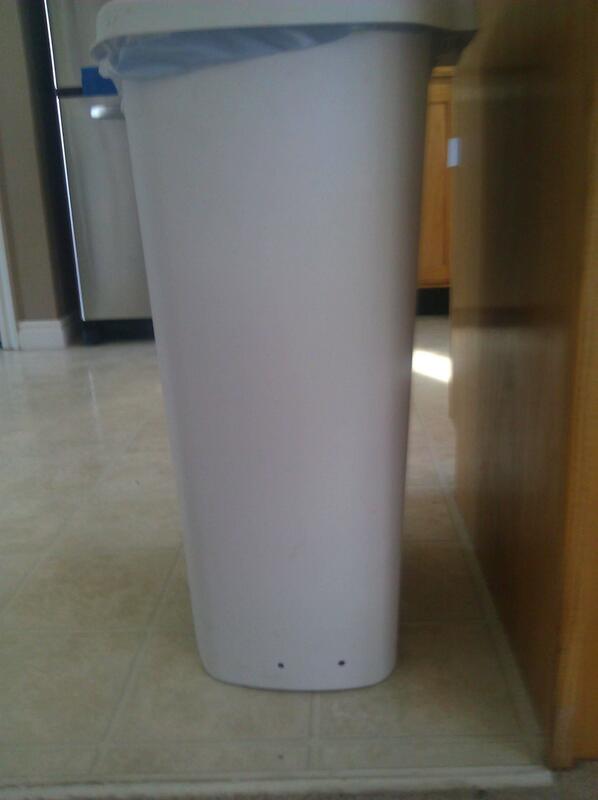 Drilling holes in the bottom of your trash can. Tired of trash bags sticking to the bottom of your can? Well, just drill some holes into the side to release that air pressure! Problem is, sometimes trash water festers on the bottom of a bag. And, if you don't sand these holes down properly, the bag could rip. Then. 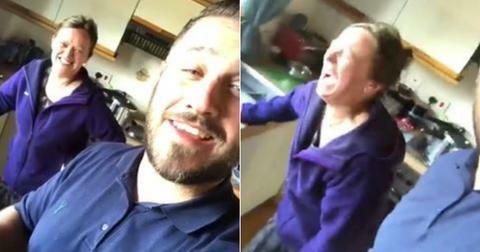 you either get foul-smelling garbage water on your kitchen floor or your kitchen gets hit with a waft of nasty trash odor. 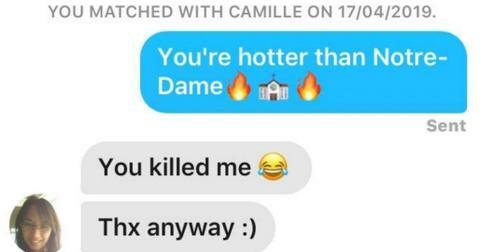 Don't do this. 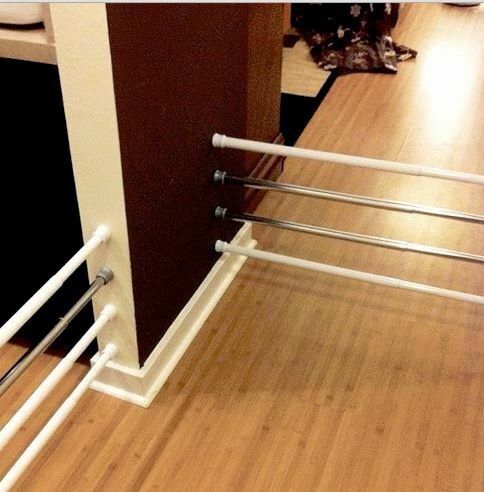 Baby gate made out of tension rods. Life hacks are supposed to make things easier and/or cost less money. Unless you've got a ton of tension rods hanging around, you should probably just buy a baby gate instead of dumping a ton of money on these rods. Besides, these things are made to hold up curtains, not to support 20 or so pounds of moving human being, so expect your child to knock these down and potentially hurt themselves. 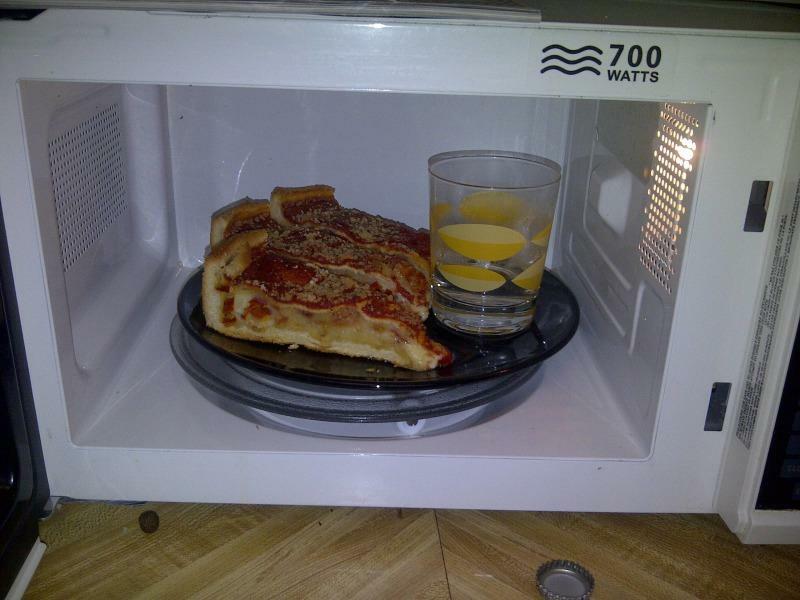 Microwaving pizza with a cup of water. The idea is that the cup of water will absorb the "moist air" of the microwave, leaving only "dry air" to make your pizza crust crispy. That's not how microwaves work. Just use a toaster oven, if you have one, for a crispy pizza. Otherwise, enjoy your soggy, Chicago-style mess from the microwave. Why are you eating Chicago-style pizza anyway? Barf. 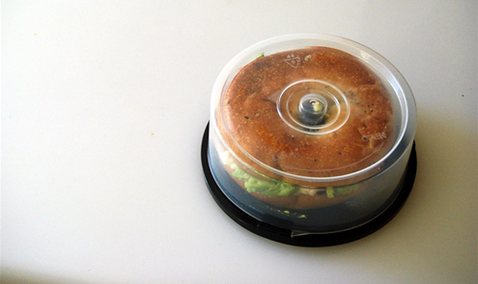 CD Spindle cases to hold bagels. Tupperware works to preserve food because they're air-tight. CD spindles are not. Also, no bagel hole is the same size, so this hack is just plain stupid. Nope. 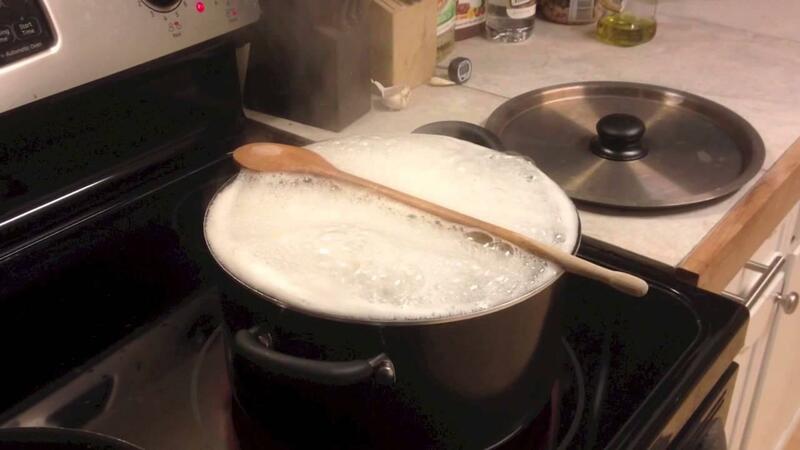 The bubbles will almost always form over the sides of the wooden spoon and get all over the place. It might buy you a few seconds, but you're better off just keeping an eye on it and turning the heat down on your stove. Tea bags to diffuse sneaker odor. No. This doesn't work. Cycle between pairs of sneakers so the sweat from your feet can dry out from your other pair of shoes or just buy foot odor killing powder. It's not going to cost that much more than tea bags. The bags don't absorb any odor, and they won't give your feet wonderful antioxidants either. 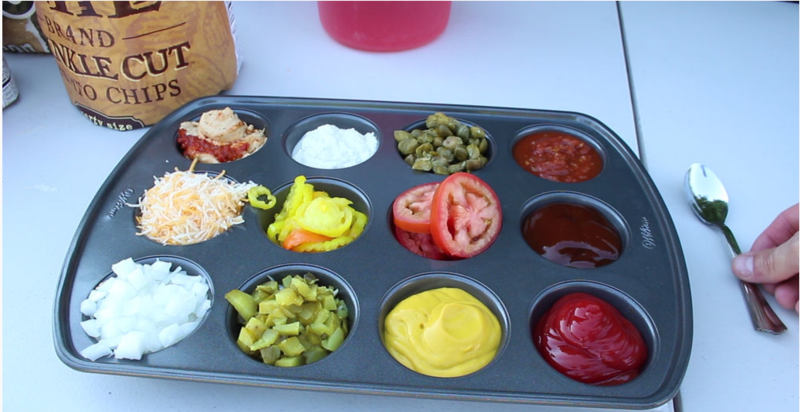 Use a muffin tray to house condiments for a cookout. If the point's to minimize the amount of mess left over from a barbecue, maybe don't fill a hard-to-clean pan with things that come in convenient squeeze bottles, only to have people use other utensils to spoon them onto their food. Sure, it looks cool, but a "hack" this is not.